Caitlyn loves animals of all species and sizes. Yes, that includes creepy-crawly bugs and snakes. The world we live in today is incredibly unsafe for our animals friends. People will purposefully hurt your pets if they can get their hands on them simply because they can - because it is amusing. If you look after your pets, whether they are dogs, cats, ferrets, rabbits, birds, or whatever else you may have, you will enjoy a long and happy life with your favorite furry/feathered friend! Most cats hate being in the house. Their instinct tells them to try to get to the outside world. They have no comprehension of the dangers beyond the walls, animal or human. 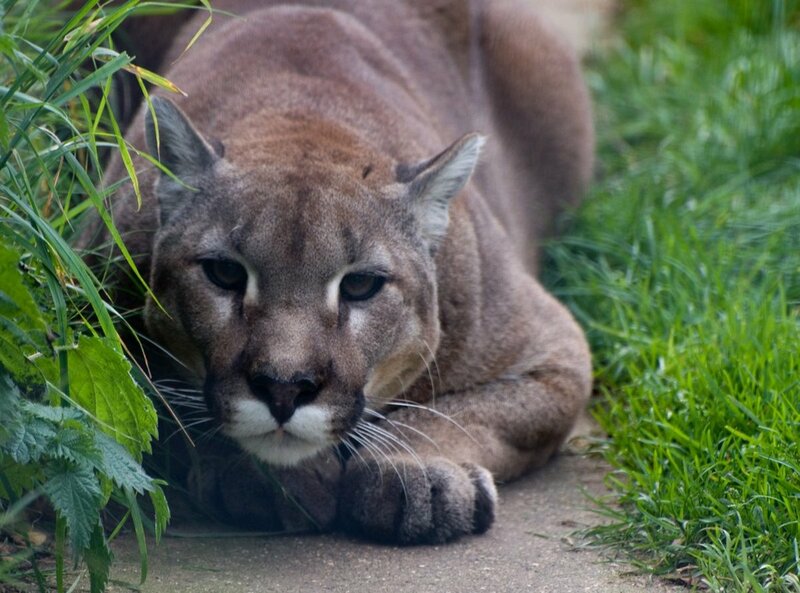 Outdoor cats are often times extremely dangerous, especially to indoor cats. Cats are extremely territorial, and therefore will fight anyone that isn't supposed to be on their land. Indoor cats are unprepared for fighting off a cat who has lived it's whole life fighting. 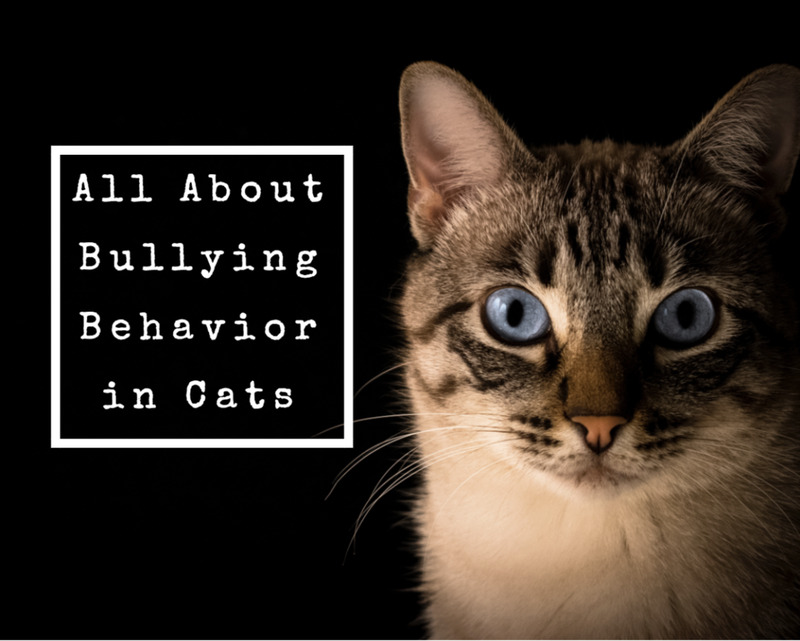 Not only could your cat get hurt or killed, cat bites are extremely infectious. Another danger outside the home are the people who find stray animals as they can be incredibly cruel to them, and for absolutely no reason. House cats generally trust humans, which these types of people will take advantage of in order to get close to them. The best thing you can do is keep your cat inside your home. Don't leave your windows open for them to climb through. Keep your eye on them always. Body of a kitten; spirit of a lion! As much as cats love playing together when they are young, once they hit adulthood, things will change. The best number to go with is usually two, depending on whether they are spayed/neutered and if you have males or females. 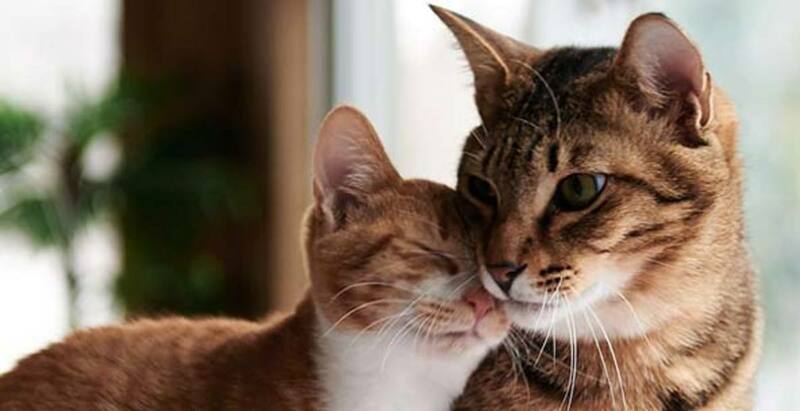 The cat who was there first can become stressed out by the other cat(s) in their home, especially if the cat is older than the newcomer. They can fight each other, leading to injuries that can be fatal. They might feel the need to protect their food, keeping the other cats from being able to eat. The house will smell like used liter constantly. No matter how much you change the box, it WILL smell. If the cats aren't fixed, there are two possibilities: If they are males, they will spray (which stinks) and they will fight, especially if a female is present. If it's one boy and one girl, there will be plenty kittens. Think carefully before adopting another cat. Consider the temperament of your current furry friend to see if he/she is compatible with other pets. This one may seem extreme, but they deserve the same considerations you might give a puppy or a baby. The saying "curiosity killed the cat" didn't just come out of nowhere. Cats are naturally cautious and curious creatures. Avoid a trip to the vet or unnecessary worry by checking each room of your house for hazards to your cat. From cords he might chew to plants he can't eat, you have to make sure you remove and store anything they might get into. Wires from the television, chargers, computers, etc. Cats love string right? Cords are the dangerous version of those toys cats love...only, your cat doesn't know this! Find covers for your loose wires/cords so your kitty won't chew them up! Certain household plants are extremely dangerous for cats to chew on! Plants such as lillies, Heartleaf philodendrons, and Jade Plants are poisonous for cats (and dogs!) to ingest. The reactions range from a mild illness to death depending on the plant. Do your research before purchasing any household plant, and keep them out of reach of your pets! Don't let them eat anything that is poisonous! 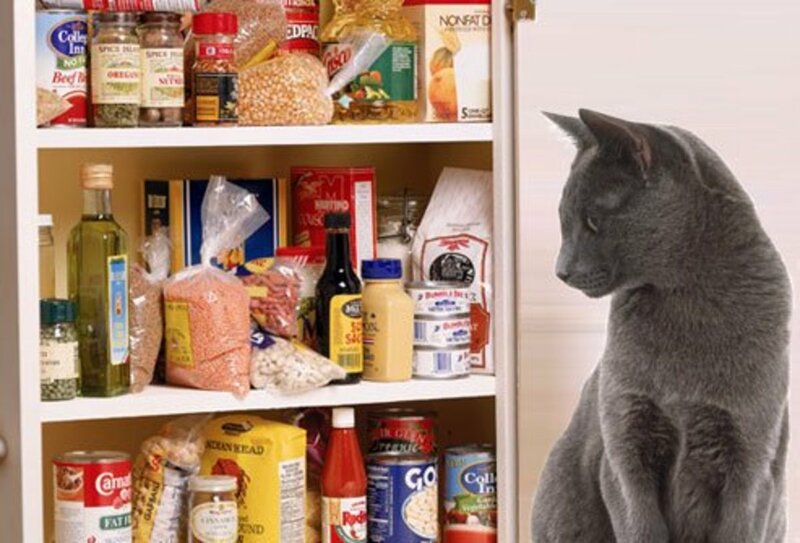 Most people know that chocolate can be deadly for pets, but there are other human foods that not many people know are dangerous, or even deadly, to cats (and dogs sometimes). Some particularly dangerous foods include: grapes/raisins, coffee/tea/energy drinks, and dairy products. Anything you don't want them to tear up or get into. Cats love to pretend things are their prey and beat it up. They also love hiding in boxes and other private places. If you don't want you cat to beat up your stuffed monkey or hide in your box of important papers, put them up where your cat can't reach them. Paper products and trash are things cats LOVE to tear up.Paper towels, napkins, and toilet paper all fall victim to their boredom. Pick it up and put it away to avoid them making a mess of things. Finally, plastic bags are extremely dangerous for cats. They love playing in them, but if they get stuck, or if a handle gets wrapped around their neck, they can suffocate. Take the time to pick them up after groceries are put away to avoid them getting hurt. There are many things you can do to keep your cat safe in your home. Keeping windows closed or screened off keeps your cat from jumping out of the house after birds or rabbits in the yard. If you lay down any pesticides to kill bugs or mice, don't lay them where a cat might get to them. Finally, if you have any doubts, look it up or ask a vet. They will tell you what is safe and what isn't safe for your furry friend. 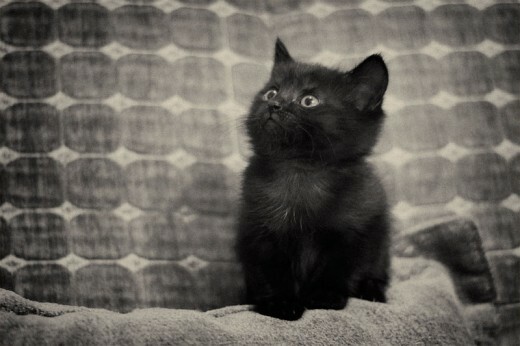 Black cats can be cute pets too. 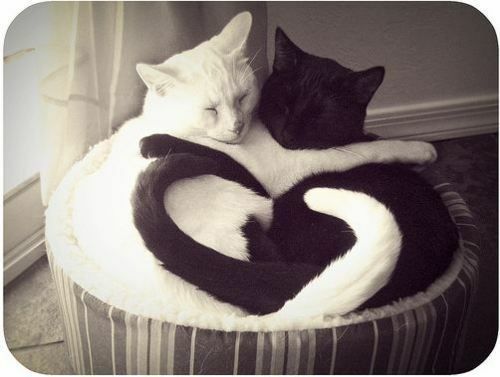 All cats are equally loving! This one is especially true if you own a black cat. Often seen as bad luck, black cats are the ones that are most often left behind at shelters and harmed when spotted walking around. They are just like any other cat, and deserve love just like anyone else. Halloween is a dangerous time for any pet. Keep them safe by not letting them out of the house, even just to see the kids trick-or-treating. This one isn't for your cat in particular, but for keeping the stray and yourself safe from harm. Whether they were born on the streets, or abandoned by their previous family, it's heartbreaking to see stray animals and most people want to help them, but this can actually be bad for them. 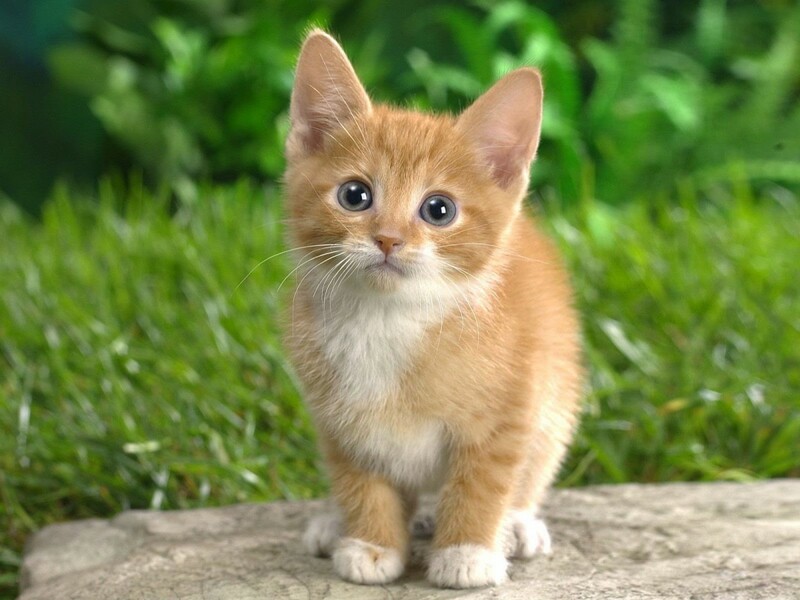 Many stray cats are born feral, so they are not socialized and extremely dangerous, as well as being afraid. They can attack any pets you have at home already, as well as you and your family. 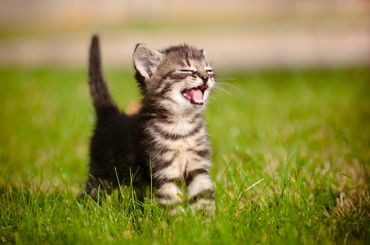 Cat bites are very dirty and can get severely infected if left unclean. If you do see a stray, do not call to them. Friendly stray cats that come up to you can be later targeted by people. If you see one, scare them away. The more scared they are of people, the safer they will be. If you can take the cat in, and it's friendly, feel free to do so. They will need a visit to the vet to make sure they are safe to be inside your home and around your family. Another thing: don't leave food/water out. Feeding them once means they will forever hang around your home, bothering your pets and you. If they live outside, they more than likely can get food on their own. When it comes to cats, they are probably just fine without us. This one is incredibly important! If you find you are unable to keep you cat or kitten, posting an ad for them on Craigslist, or any site like this one, is very dangerous. Ask friends, family, church members, etc first. Even the friend of your friend, if recommended. As long as you know they are going to a good home. If you do decide to post to Facebook or other sites, hold interviews to make sure they are fit to own a pet. Have them answer questions about themselves, their home environment, etc. Always have a re-homing fee posted! Abusers won't want to pay too much money for something they will just hurt when there are free ones everywhere. 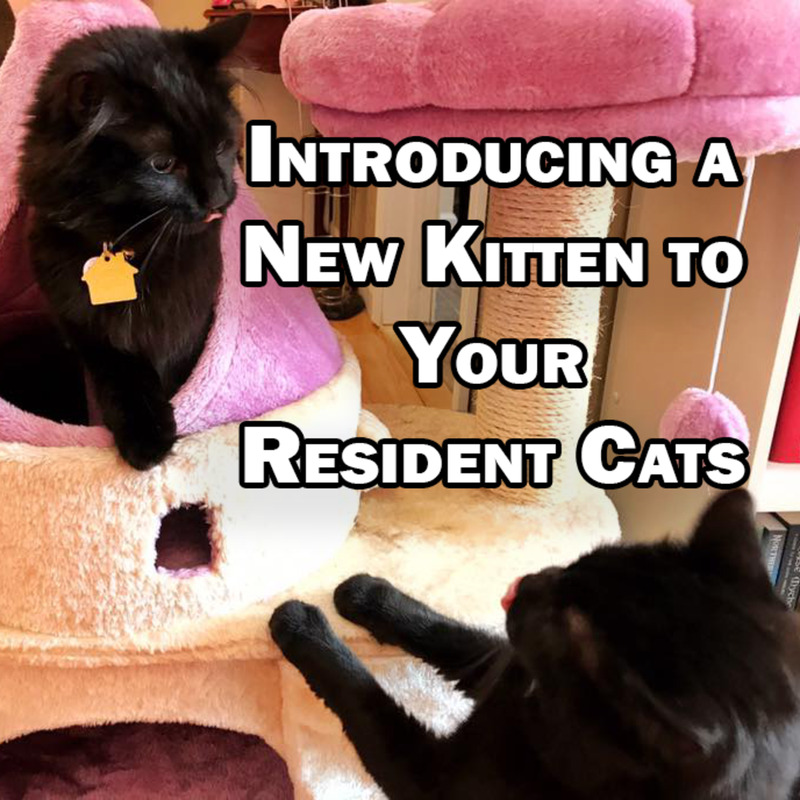 To keep your kitty (or any pet) safe, post a decent fee. If you don't want to make money off of them, still post the amount and just let the person know that once you have met them. Always trust your gut. If you have a bad feeling about anyone, be polite and move on to someone else. The safety of the animals is more important than a quick sell. PLEASE DON'T EVER GIVE THEM AWAY FOR FREE! 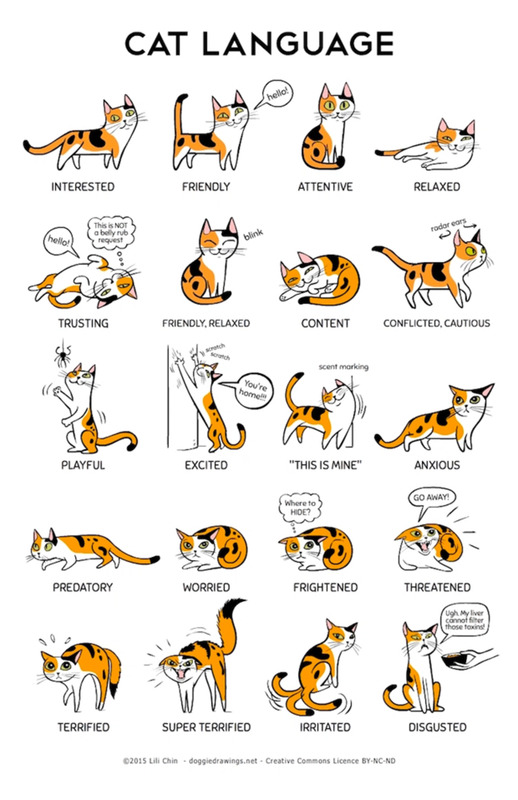 Much like dogs and people, cats express their feelings through body language and facial expressions. A cat licking his mouth has just eaten something, for example. 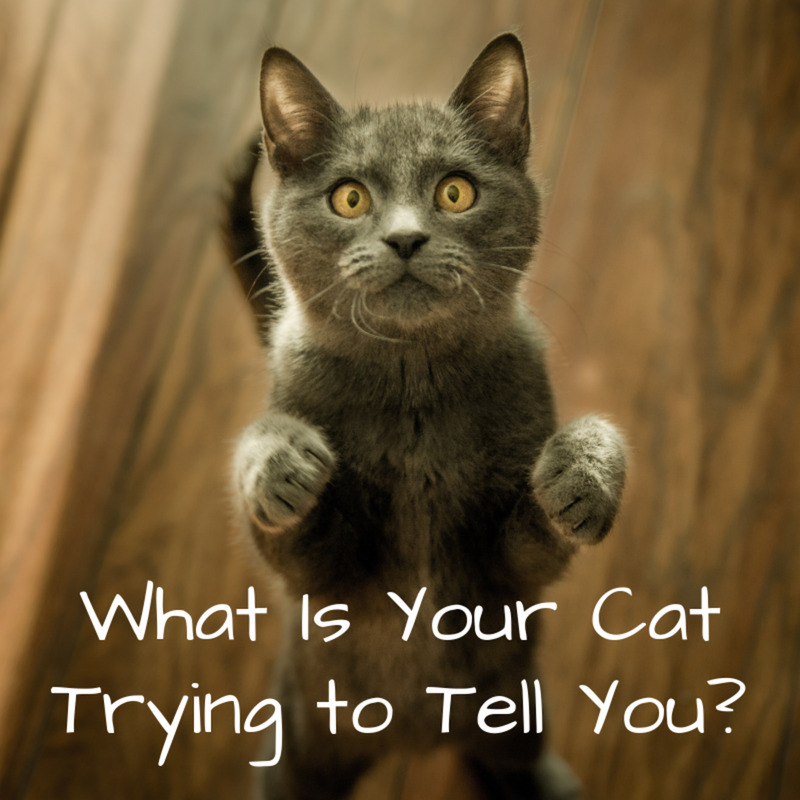 It is important to learn what your cat is trying to tell you so that you, as well as your family, don't get hurt. Switching/wagging tail: this means he's very full of energy and is about to pounce! This can be both playful and angry wagging, so be aware of what's going on around him. If his ears are down and he's switching his tail, he's angry. Arched back/fluffed tail/wide eyes: commonly thought of as aggression, this is actually fear. When a cat is scared from a situation or action, he will fluff up his fur and arch his spine in order to appear bigger. Rubbing his face/body on you: this is commonly seen as affection by people. What he is actually doing is marking you as his property; he is leaving his scent on you. Tail tip twitching/Ears perked: he is listening and attentive to his surroundings. He is keeping watch. Crouched low/tail twitching/eyes wide: he is going to pounce! When we slide string along the floor, they will get into this mode (much like a tiger when hunting) in order to catch his "prey". 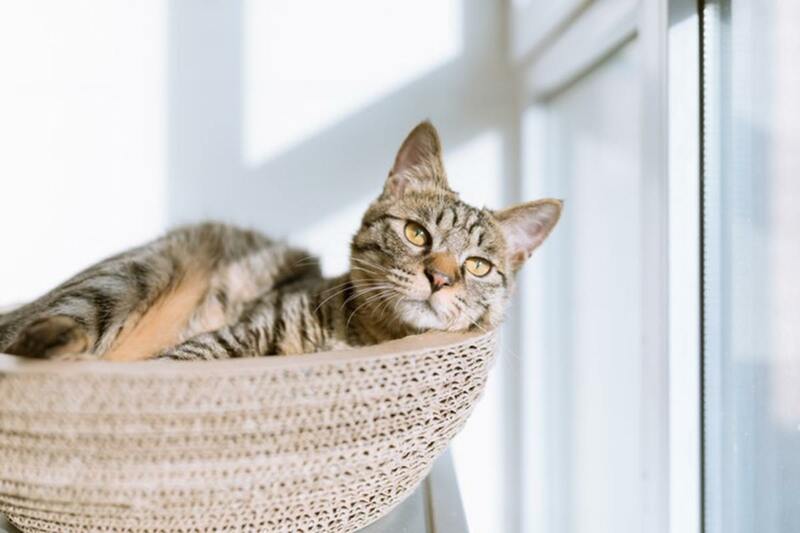 As long as you follow these tips, check you cat into the vet every once in a while, and take care of his basic needs, you and your cat will have a happy life together!